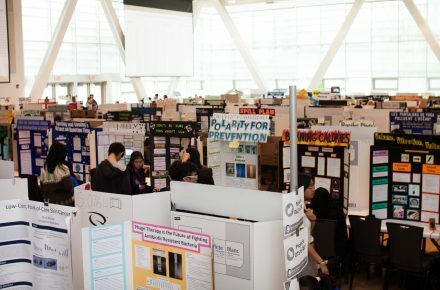 Bring your students to see this year’s projects at the Greater Vancouver Regional Science Fair! School tours are free and available from 10:00 am to 12:00 pm on Friday, April 5, 2019. If you would like to bring a group or class of students to see the 200+ science projects and learn what their fellow BC students are discovering, we will gladly accommodate group tours. Please send your requests to schooltours@gvrsf.ca.